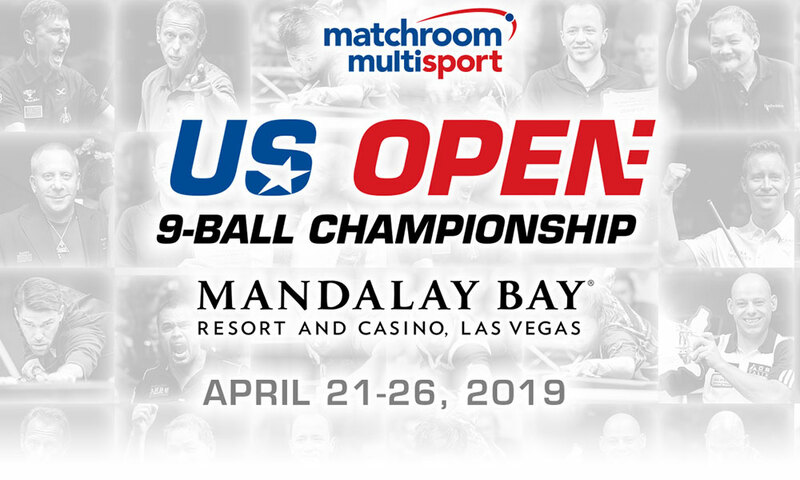 The draw for the 43rd US Open 9-Ball Championship has been made, with Jayson Shaw to begin his defense against Marcus Westen at Mandalay Bay Resort, Las Vegas on Sunday, April 21. Broadcast details for the 2019 US Open 9-Ball Championship will be announced shortly. The draw, brackets and match schedule can be viewed now on CueScore. Live rack-by-rack scoring will be available throughout the event at www.matchroompool.com thanks to Matchroom Multi Sport’s partnership with CueScore. Click here to view full seeding categories for the US Open 9-Ball Championship.